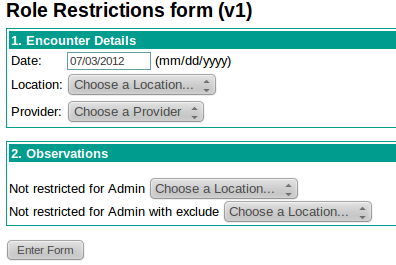 The <restrictByRole> tag is the next newcomer to the HTML tag base of Form Entry Module. This feature is concerned to be implemented in a way that, some user with a particular role can be restricted from either viewing a certain HTML form (or a section in the form) by using the <restrictByRole> tag. 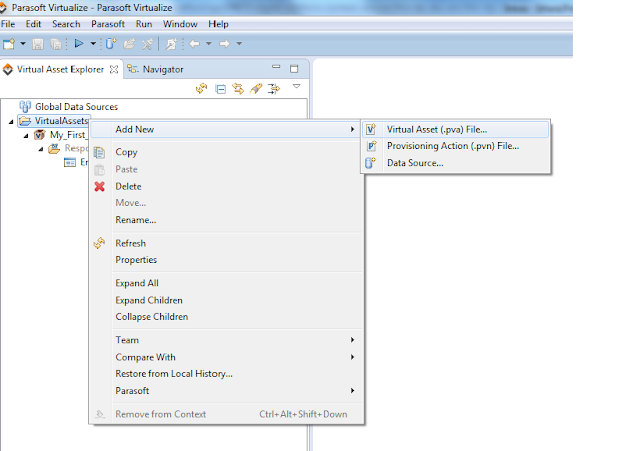 The tag comes with two attributes as "include" and "exclude" where you can mention the names of the roles for whom you want to include or exclude the form restriction. So this table would not be shown to any person with the 'Data Manager' role but only to the users who belongs to that role. 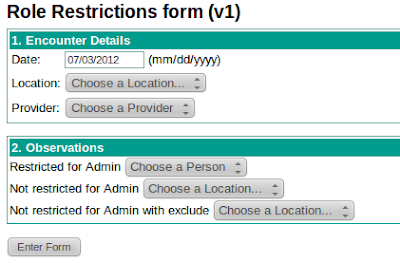 In the same way this can be used with "exclude" attribute, in where the corresponding section would only be not restricted to the mentioned role. That is where we are heading towards at the moment. There are two more tasks to do during the summer so i look forward for those also very enthusiastically!